John is former Detective Chief Inspector (DCI), having served thirty years with the West Yorkshire Police. He spent the majority of his service as a Detective specialising in crime investigations and intelligence. He is also a skilled Police Trainer and has been involved in the training of police officers and police staff for over twenty years. John is respected in the training arena for making training relevant with realistic operational application. During his police service John was commended on numerous occasions for his roles within serious crime investigations. 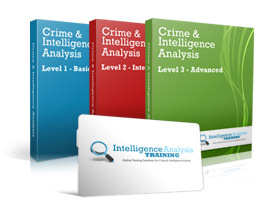 Throughout the ranks from Detective Constable to Senior Investigating Officer, he has had the practical ‘hands on’ experience of carrying out the key roles within murder investigations and other serious crime enquiries. John has been involved in the development of intelligence processes both at strategic and operational levels. He has performed a number of roles within Intelligence and was the National Intelligence Model implementation Manager for West Yorkshire Police assisting the force in attaining an excellent rating by the HMIC Inspection Team. John had two postings at the internationally acclaimed West Yorkshire Police Crime Training Centre, (Bishopgarth). Firstly as a Detective Sergeant he was responsible for developing and delivering crime investigation courses for Detective Sergeants through to the Senior Investigating Officers Development Programme. During this posting at Bishopgarth, John completed the National Police Trainers Course. John’s second period at Crime Training was his last posting before his retirement. He was appointed in 2008 as the DCI Head of Crime Training. During this time, he was directly involved in the day to day management of the Crime Training Department and relative training courses, also supporting the SIO development programme as the SIO Consultant. John also had several specialist inputs to other courses. 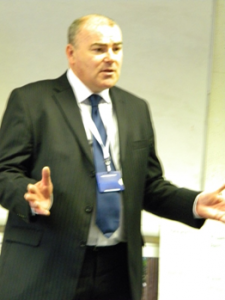 Within the Intelligence Managers Course his experience of the National Intelligence Model (NIM) enabled him to devise a number of exercises to heighten the practical aptitude of students, giving them a tactical toolkit of options to resolve policing problems. He also was part of a number of working parties and steering groups concerned with the national and regional strategic planning of investigative training. Since John’s retirement his has continued to work as a training consultant. He has been involved in the training of police forces in the use of a database used in the management of kidnap and other crimes in action. More recently he has been training the Libyan Police in the management of serious and organised crime investigations.